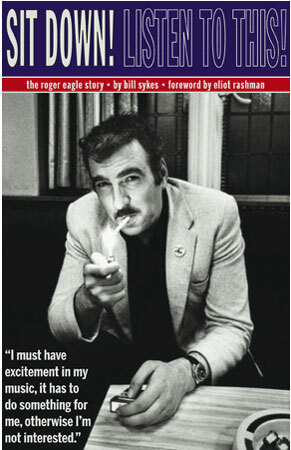 Well, everything else is already available to order, including the book and the soundtrack on CD and 45 vinyl box set. 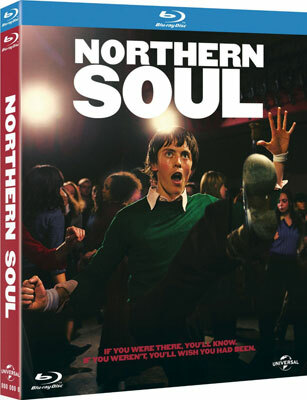 So really it’s perhaps no surprise to see Elaine Constantine’s Northern Soul movie offered on pre-order to own too. Interestingly, Amazon has a release date for the movie on bob DVD and Blu-ray to own, which is 20th October 2014. With the film itself not expected to be on general release until October (that’s the month listed on the movie website, that’s either a pretty swift turnaround or the DVD and Blu-ray are being offered for sale on the day of release. 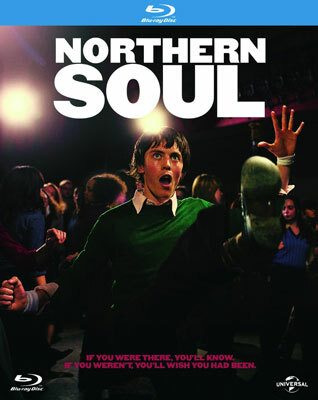 Northern Soul is the story of a youth culture in the 1970’s, which changed a generation. No longer satisfied with the prospect of a small town life and a factory production line two young boys dream of going to America to discover rare records which will help them become the best DJ’s on the scene. This journey forces them to confront rivalry, violence and drug abuse and their friendship is tested to the limit. We don’t have a lot about either format, with the exception of the sleeve art (pictured here), the release date and confirmation that both are single-disc affairs. No mention of any extras just yet. if we see anything, we will update the article. But you can pre-order right now. You can pick up the DVD for £12.99 and the Blu-ray for £15.99 if you like to plan ahead.